The word Auschwitz alone stands for the horrors of the Holocaust like no other. It was the largest and most deadly of all the Nazi concentration camps / death camps. 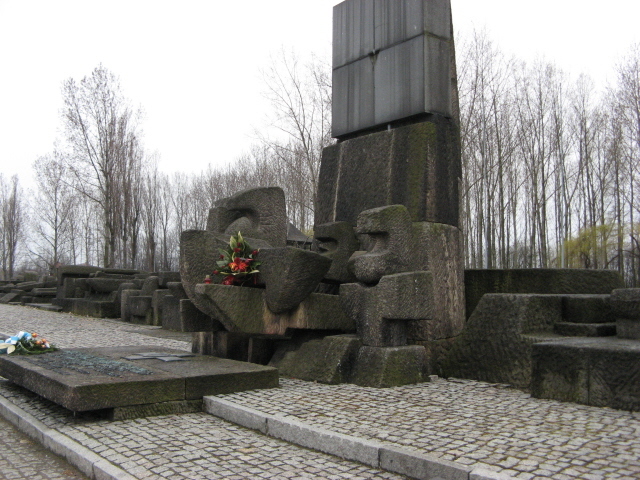 The site in the south-east of Poland was turned into a memorial after the end of WWII and in more recent years has become a prime tourist destination as well. 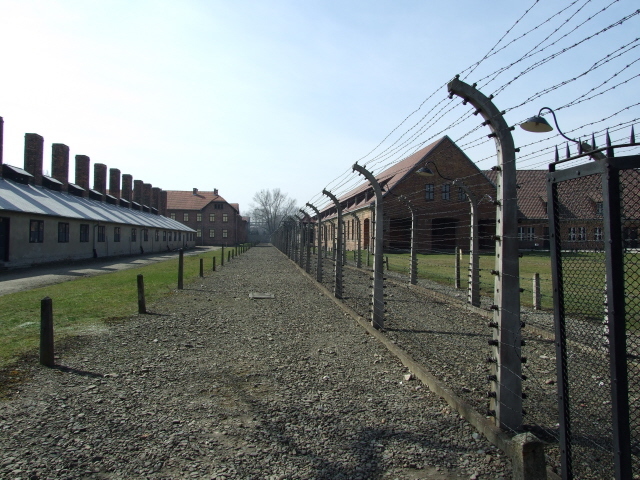 In fact, Auschwitz has been called the very "epitome of all dark tourism" and it's hard to argue with that – for various reasons … for sheer numbers of visitors alone, for instance. Well over a million visit the site annually these days, and they reckon ca. 40-50 million people have visited in total up to now. In other words: this is a place where niche tourism meets mass tourism. That does have some adverse effects, unfortunately: a strict regime of "crowd control" has become a major issue here, and the presence of hordes of tour groups being shepherded through the site and the paraphernalia of souvenir and fast-food trade can be an awkward distraction. It's recommended that you at least try to go at an off-peak time in order to get the most out of the place. More background info: The main reason for this place being arguably the world's No.1 dark tourism site (see lists) is of course the outstanding significance it had in the Holocaust. Practically nobody needs to be told what Auschwitz stands for. It was the biggest and most notorious of the Nazi concentration camps/death camps. For many lay people it may well be the only concentration camp they can name. But only really hopelessly ignorant people will not have heard of Auschwitz. Moreover, Auschwitz has become something like the synonymous and symbolic byword for the whole Holocaust. 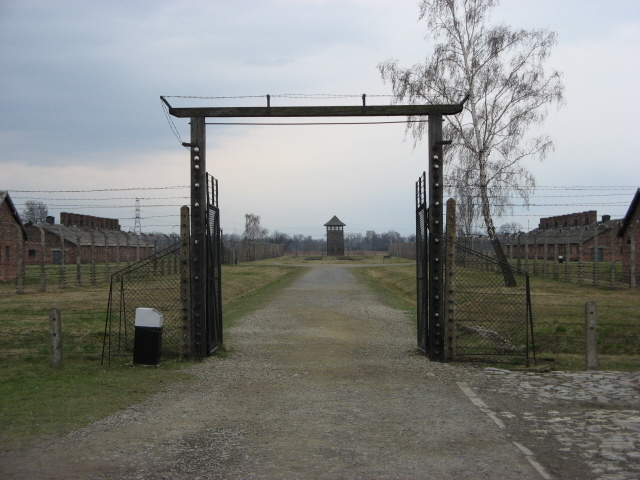 In fact more than 'just' the Holocaust – it is quite common that 'Auschwitz' is used in reference to any atrocities committed against humanity, i.e. it has become a 'metonym' for such horrors. Likewise, when politicians and historians say "let there never be an Auschwitz ever again", it obviously means: no more (industrial-scale) genocides of any kind. 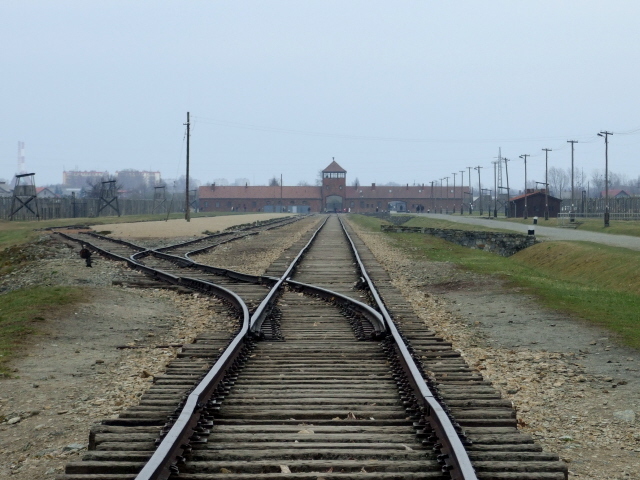 This symbolic significance, on top of the historical importance and the number of visitors today, is yet another reason why Auschwitz has to be regarded as the top dark tourism site in the world. But the main reason for this is still that it was here that the largest number of victims were murdered at any one such site. In absolute terms it probably is in fact the deadliest single site of mass murder in history (but cf. also Treblinka). 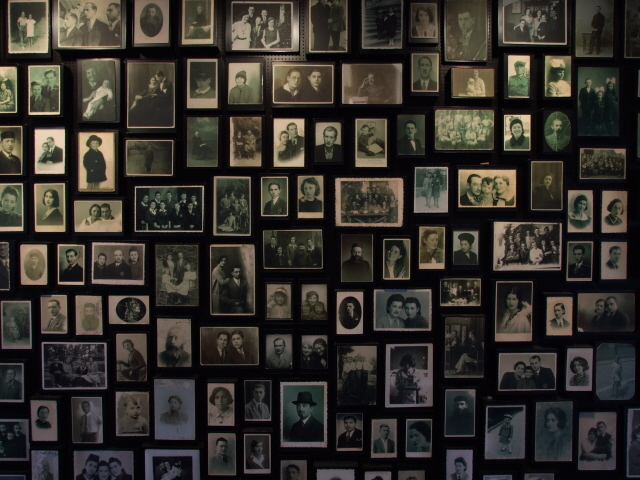 Between 1.3 and 1.6 million victims in total are common estimates, well over 1 million of them Jews. Auschwitz's victims were of many categories, including Polish political prisoners and Sinti & Roma ('gypsies'); but Jews formed by far the largest group. It is hence the world's most significant site of the Shoah. A large proportion of the victims killed at Auschwitz were murdered in that infamously most "industrialized" fashion: in gas chambers, by means of the specially mass-produced poison gas Zyklon B – cynically a substance that had otherwise already been in common use as a pesticide. But Auschwitz was also, and originally only a 'proper' concentration camp, i.e. it was first intended as a "mere" internment camp for political prisoners, who were housed in an already existing former army barracks, a complex of brick buildings. 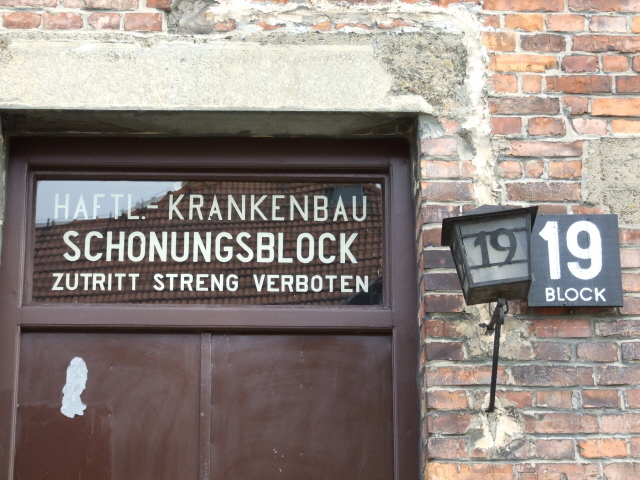 Inmates had to do forced labour – especially in the nearby industrial complexes of Auschwitz-Monowitz (see combinations). Up to that point, then, Auschwitz was still quite similar to the concentration camps within the German Reich, such as Dachau or Mauthausen. 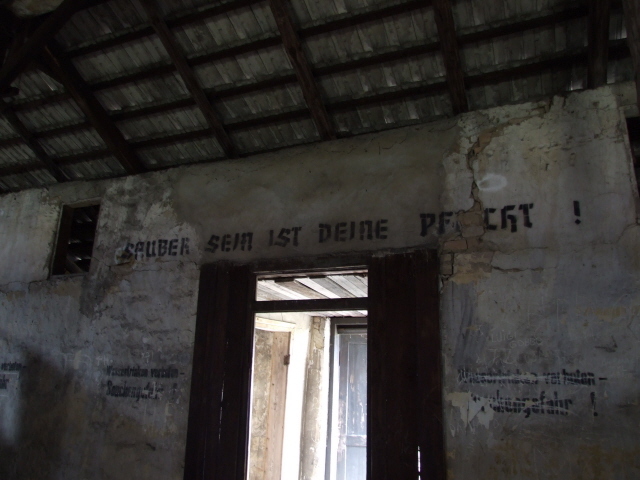 That is to say that originally internment, malnourishment and "extermination through labour" ('Vernichtung durch Arbeit') was the rule here rather than instant gassing. That only came later, namely with the onset of Operation Reinhard in 1942, which also saw the construction of the dedicated death camps or "killing factories" of Belzec, Sobibor and Treblinka. 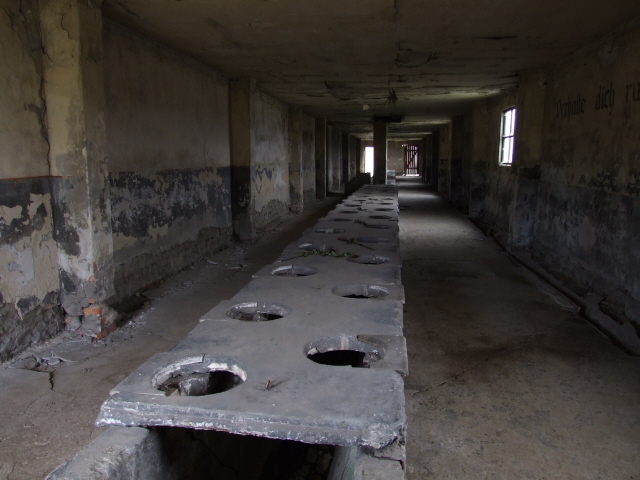 Only Majdanek had an Auschwitz-like dual role of concentration camp and then death camp too, though on a smaller scale. 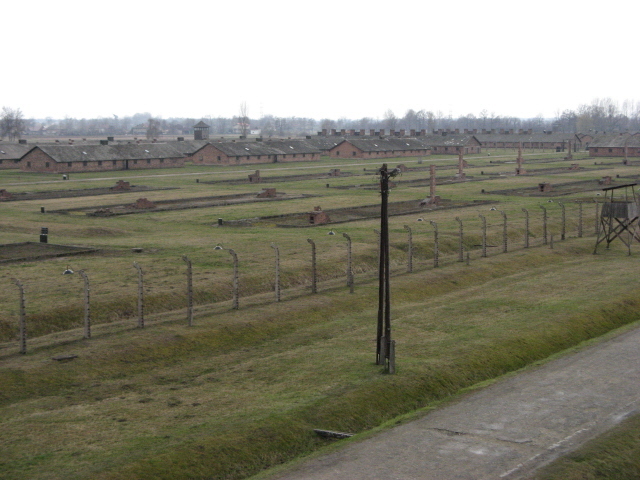 At Auschwitz, a whole second camp, much larger than the original one was built a few miles away: Auschwitz-Birkenau. It was this second site that had the prototypical features of endless rows of wooden barracks … and the crematoria as well as that iconic gatehouse (see also logo). 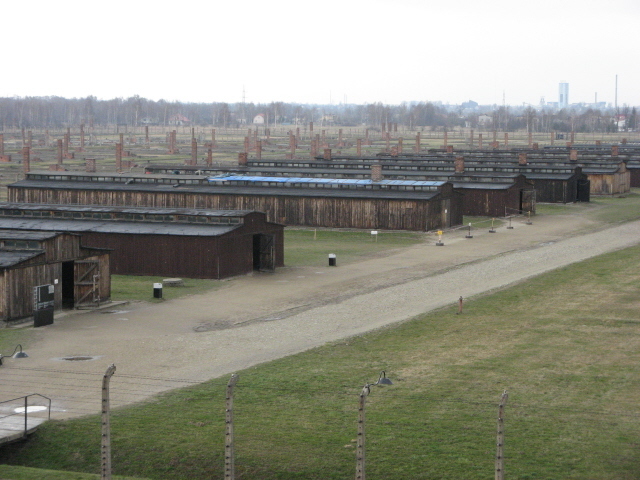 It is important to remember when talking about Auschwitz that this comprises distinct sites. This can cause a bit of confusion. 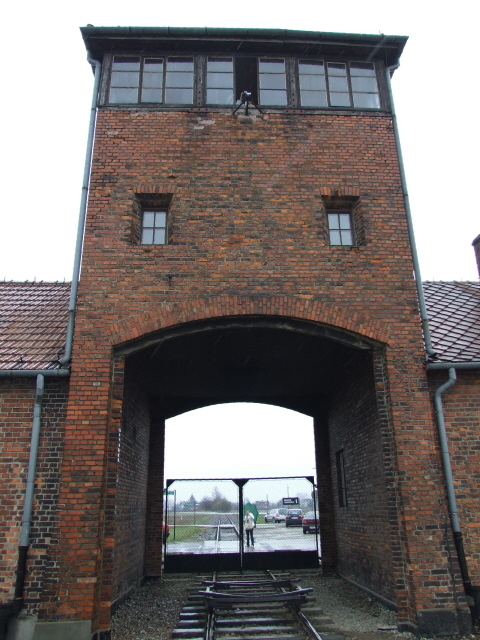 Most people associate the physicality of Auschwitz with a) those rows of barracks behind the iconic gatehouse and the ramp, and b) the infamous sign that says "Arbeit macht frei" ('work sets you free'). But these icons of the Holocaust are NOT in fact in the same place. 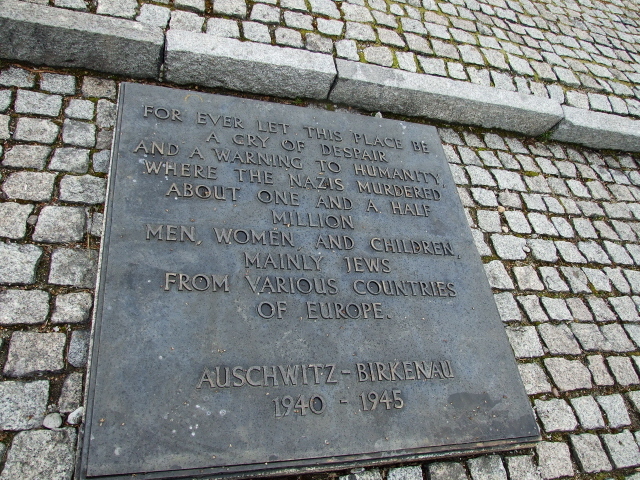 And few people realize that there is also a third site, at Auschwitz III or Monowitz. More on that below (under combinations). 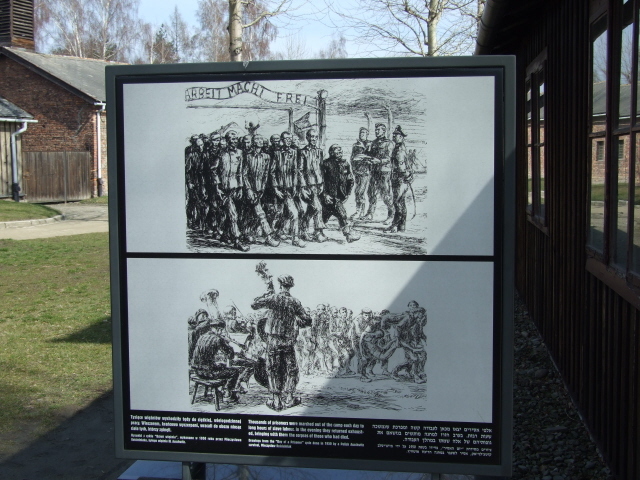 The infamous "Arbeit macht frei" sign made shocking headlines in December 2009 – when it was stolen! This obviously raised serious concerns about security at the site (and about the motives of the thieves – apparently right-wingers from Sweden). But fortunately the sign was soon after recovered – albeit cut up into three segments. It has since been replaced in its original position by a replica, while the restored original has been moved into a secure location within the museum. 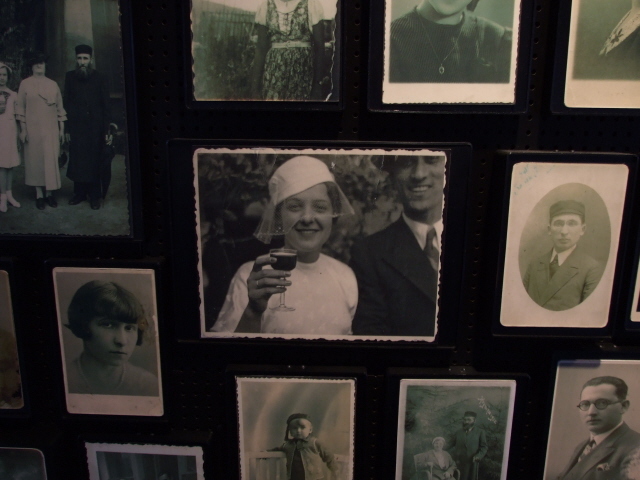 Auschwitz has been a memorial site and museum for a very long time, longer than most actually. 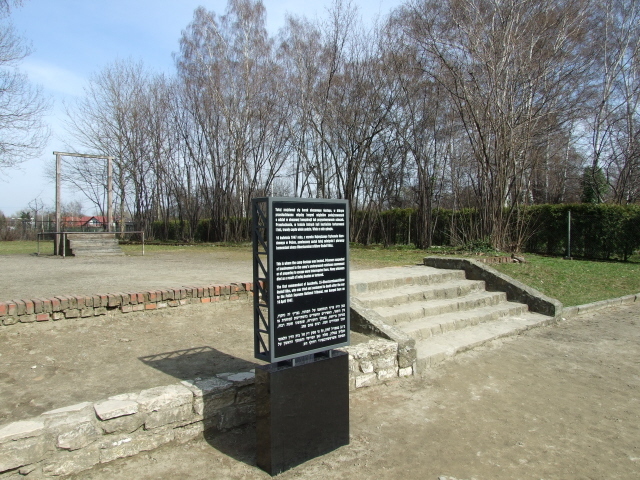 From as early as 1947 – two years after the camp's liberation by the Soviet Red Army – survivors had come back to claim the site as a place of remembrance. But it was also a regular destination for school and work groups from around Poland and other Eastern Bloc countries as a matter of compulsory education. Only after the fall of communism and the Iron Curtain did the place open up to increasing numbers of Western visitors too and has become the tourist magnet it is today. The visitors of today form a truly international crowd, though some nationalities are more represented than others: apart from domestic visitors from Poland, especially large groups come e.g. from Great Britain, Italy, Germany, Israel and the USA. In 2012 a new visitor record was set at 1.43 million! The memorial site's long history also means lots of developments over time with regard to commodification. So apart from the place itself you also get an impression of the changes in the way memory and history are represented and interpreted in museum exhibitions as well as on the various information panels around the open-air parts of the site – see below and under what there is to see. There's one quite physical issue of change too: the infamous heap of victims' hair found stored on the premises when the camp was liberated and since put in a huge glass display case in the museum has been losing colour for many years. Visitors of 15 or 20 years ago remember it as a brownish overall colour, now it's a faded grey. It's said to have to do with the chemicals used in the killing of the victims, and they reckon that the hair may even disintegrate altogether over the next 15 years or so, preservation having proved impossible. Most changes, though, concern the issue of presentation. 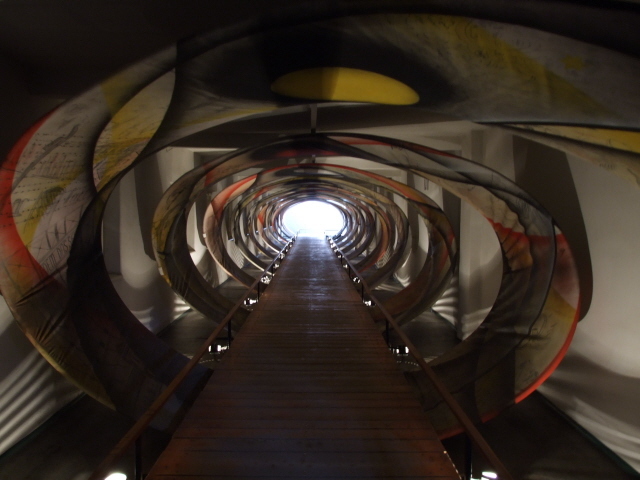 What is to be regarded as the 'right' way of representing the Holocaust and what the discourse about the topic should be like remains a delicate and much discussed issue – and that can also be seen in some of the exhibitions. 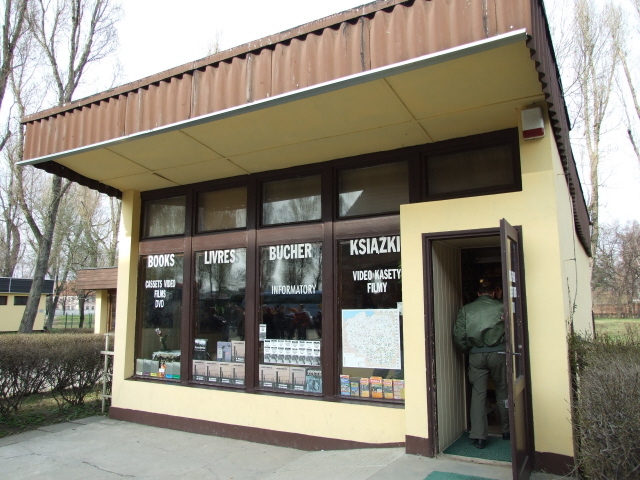 Several of the "national" exhibitions that are spread over different blocks in Auschwitz I, which had mostly been set up originally in the 1970s, have recently been reworked. And some are still due for modernization. This includes the exhibition for/from Austria – i.e. the only one from a country that was actually part of the Nazis' Third Reich (Germany itself does not have an exhibition at Auschwitz). The old exhibition, originally set up in 1978, still had a strong thematic orientation towards Austria as the "first victim" of the Nazis and seriously under-represented the fact that it was also a country from which many of the key perpetrators came from (not least Hitler himself! ), that large parts of the population actually welcomed the Anschluss and were also very much involved in the persecution of the Austrian Jews. Since 2005 there had been a sign at the entrance noting that the old focus of the exhibition was outdated and that a new exhibition was in the planning which would finally acknowledge the darker sides of Austria's participant role in the Nazi terror. These plans have meanwhile progressed further, even though the opening of the new exhibition is likely still a couple of years away. The old exhibition has now been closed and the refurbishing of the building that houses it is under way. I recently attended a presentation in Vienna in which parts of the plans for the new exhibition were revealed, but I cannot go into details here. We have to wait and see what it will really be like when it finally opens. Other recent changes include a heightened commodification of the Auschwitz-Birkenau site. For many years it was left mostly in its original post-WWII state with very little interpretation. Now more information panels have been put up and a whole new exhibition has been added in a former bathhouse. More investments in that direction are in the planning too. The main thing is: if you really want to try and get a grip on what Auschwitz stands for, then you have to go to the actual place and see – and shudder! – for yourself. A bit overrun as it may be these days, it still is the single most significant Holocaust site on the planet. A must-see if ever there's been one. What there is to see: Loads! 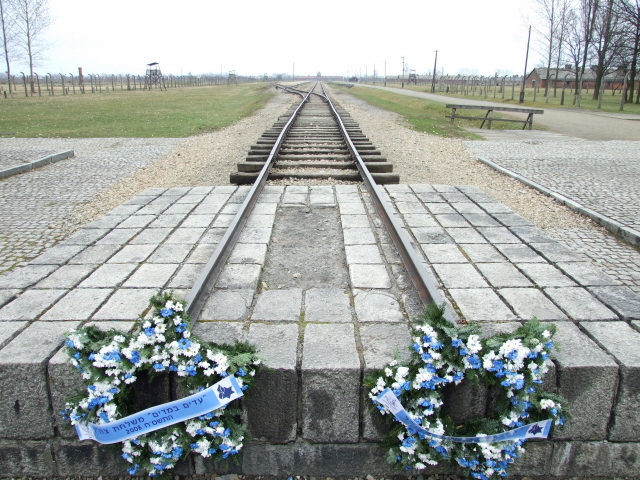 There are two main parts, Auschwitz 1, or the "Stammlager", and Auschwitz II, aka Auschwitz-Birkenau. Auschwitz 1 is the older, smaller and much more solidly brick-built former concentration camp/prison part, while Birkenau is bigger, more sinister and much more in line with the expected prototypical concentration camp aura. It is the former, though, that is home to the main museum exhibition, including those gruelling exhibits such as heaps of shoes, hair, suitcases. Most visitors go to this museum exhibition first. So let's start with it in the description on these pages too. Different buildings cover different aspects of the main exhibition, and a series of further buildings are given over to individual countries (Hungary, Belgium, Czech Republic, France, etc.) and groups of victims' (Jews, Sinti & Roma) for their own separate exhibitions. There's extensive historical detail to be read on numerous signs and panels too. Most of the texts are trilingual, in Polish, Hebrew and English, in some places also in other languages. 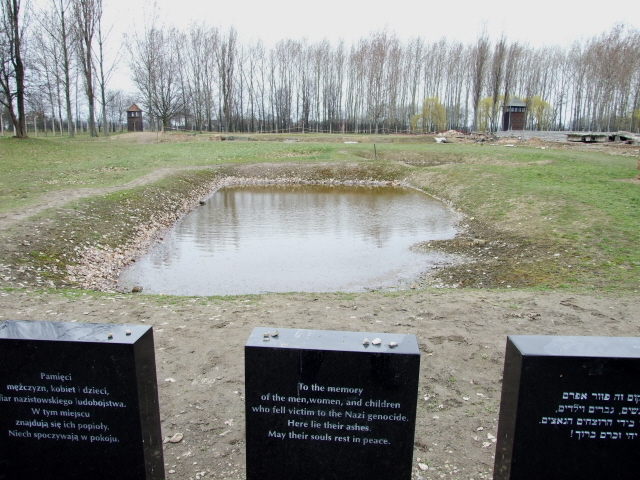 The grounds of the Stammlager Auschwitz 1 are quite intact – and look almost a bit too 'tranquil' today to help you grasp what happened here. Tall trees (mostly poplars) tower over the well-kept brick edifices and patches of grass. It's really only the electric barbed-wire fences and the watchtowers that serve as a constant reminder of what this place once was. Obviously the best known, most iconic and probably most photographed element is the gate with the cynical wrought iron slogan "Arbeit macht frei" (literally 'labour makes free') over it. It's here that you are most likely to witness visitors' dodgy habit of posing for a snapshot in front of the gate's slogan (see also Sachsenhausen or Dachau). It's something I personally have quite a problem with, although I am aware that that type of photography is just a symptom that mass tourism necessarily seems to come with, apparently irrespective of whether it's at a holiday beach, amusement park or concentration camp. I would, however, like to have it on record that I do not endorse this sort of snapshot-taking. I find such behaviour disrespectful (see also mission statement). The main museum exhibition contains lots of historical background, photographic evidence, plans and charts and so on, but also the infamously most shocking exhibits, namely what the liberators found in the storehouses of Auschwitz-Birkenau: as the Nazis hastily fled they failed to destroy all the evidence and left behind lots of those things taken from the victims. Now they fill huge display cabinets in the museum, big as whole rooms. In one of them is a gigantic heap of shoes (like at Majdanek), another a huge pile of brushes, yet another heap consists of countless prosthetic limbs! Also here you can see that enormous pile of women's hair, now a uniform faded grey colour (see under background). Allegedly it's dozens of tons of human hair. It's impossible to get your head round such dimensions. Another well-known part of the items on display are the suitcases, also displayed here in a huge heap, but you can see names and places of origin of the victims written in white crayon on the individual cases. Normally there would have been a no-photography rule in place inside these parts of the museum exhibition. But my guide granted me one exception – namely when I spotted a suitcase with an address I recognized: Kielortallee 22 in my original hometown of Hamburg, Germany. In fact it's a house right next to the primary school that I went to! Amidst all the unfathomably enormous scale of the horrors of Auschwitz and the Holocaust, it's little things like this that make some sort of connecting possible – vague as it may be. But for me it was quite an emotional find. It literally brought it closer to home. It can get a lot more brutal, though. My guide reported that he once had a man in his tour group who in one of the photos from the camp's operation suddenly recognized his father … namely as one of the SS guards at the selection ramp. He hadn't had any idea previously … I cannot begin to imagine what kind of sinking feeling that must have generated! Amongst other particularly hard bits for the general visitor are the "death block" and the "death wall". The former was the block used for solitary confinement, standing cells (a particularly mean form of torture, in fact) and rooms where victims were basically left to starve to death. 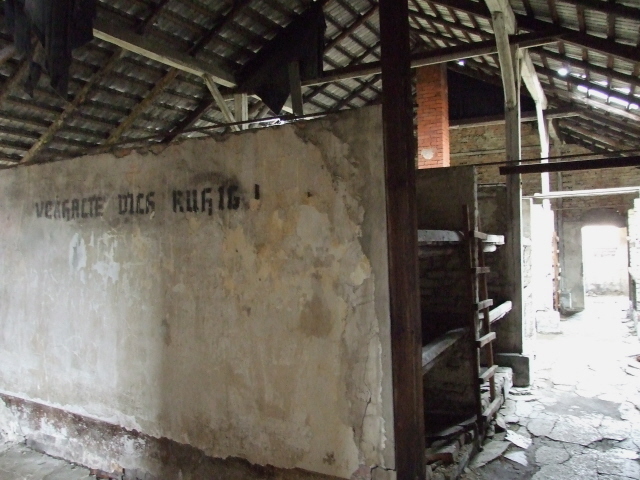 SS rooms and rooms where "experiments" with Zyklon B gas were conducted on Soviet prisoners are also located in this part. The death wall next to it is a reconstruction of the place the SS used for executions by shooting. 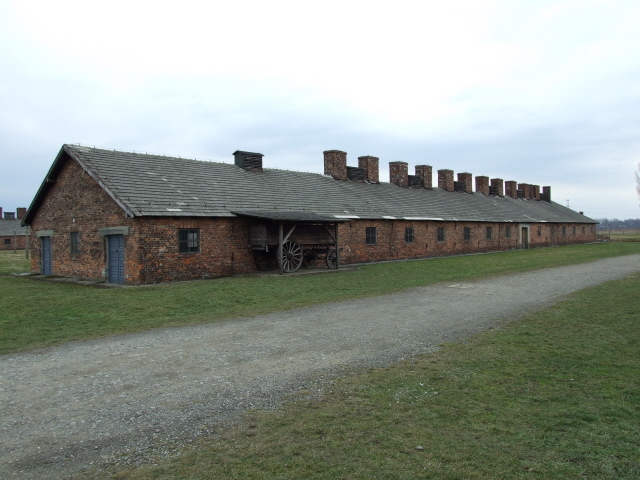 Also reconstructions are the crematorium and the first proper gas chamber at Auschwitz 1 (a precursor to the industrial-scale gas chambers of Auschwitz-Birkenau – see below). Also part of the main memorial museum is a cinema room, located near the reception area. Here a documentary film is shown regularly, including a version in English. It includes footage taken by the Soviet liberators of the camp. 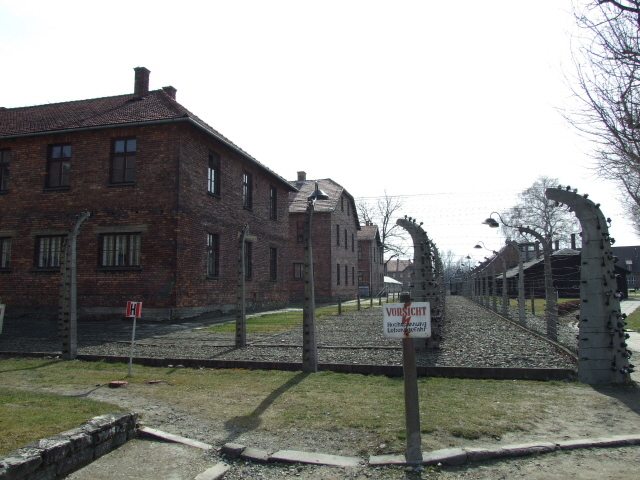 When I visited Auschwitz in spring 2008 I had hired a private guide so there was little need to view the intro film. Therefore we skipped it. I can thus not report any personal impressions of it. The national memorial rooms housed in the various other former cell blocks did not from part of the guided tour either so I visited them independently afterwards. Inside, they vary quite a bit in their nature and approach, so it was indeed better to be free to choose how long to linger at any of them. Note that this general approach of having dedicated memorial rooms for different nations was a typical element of commodification from socialist times. Back then, the main emphasis was on "political martyrdom", resistance against and eventual overcoming of Nazi rule as a great achievement of communism. 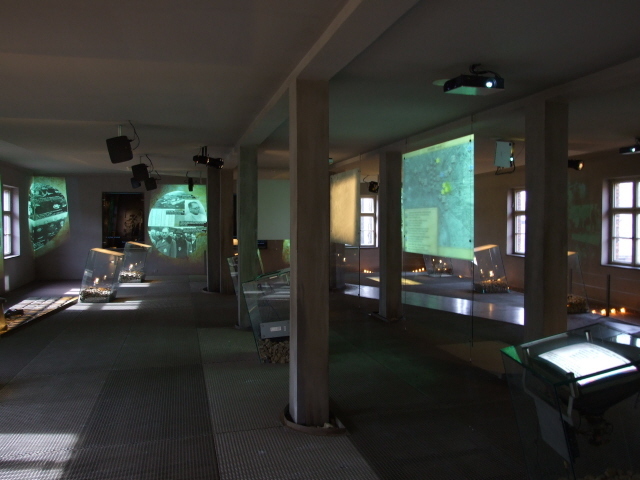 (You can see a similar older part consisting of separate national memorial rooms also still at Ravensbrück.) The fact that Auschwitz was the main place of suffering of Jews in the Holocaust used to be gravely underrepresented in the past. All this has gradually been changing ever since the end of the Cold War and the collapse of the Eastern Bloc. The most drastic historical misrepresentations have been rectified. Some of the individual national memorials have been substantially updated by the respective nations, others still represent the older approach. The Jewish memorial part is currently undergoing renovation and is thus closed to the public for the time being (as of July 2013), the room dedicated to the Sinti & Roma has at the same time just reopened. 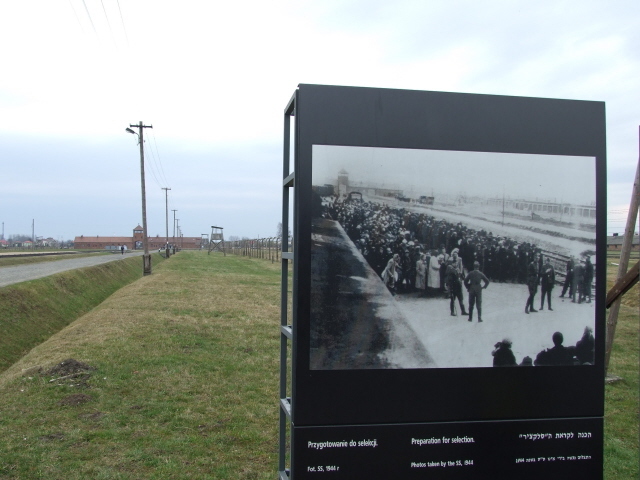 However, the mass tourism aspects apply a lot more to Auschwitz 1 than to the other, more expansive and at the same time less visited part of the memorial: Auschwitz II. This part, also referred to as Auschwitz-Birkenau is a couple of miles up the road, and this is the much bigger, much more sinister and depressing part. It really doesn't get much 'darker' than this. While Auschwitz 1 looks like (and mostly was) a mere prison, Birkenau is it … it is the prototypical concentration camp / death camp. Its sheer expanse really gets to you – and what you see is only half of what the full size of the area would have been. There are a few brick buildings here, but most of the camp was made up of the wooden 'barracks' familiar from old photos and many a cinematographic representation. 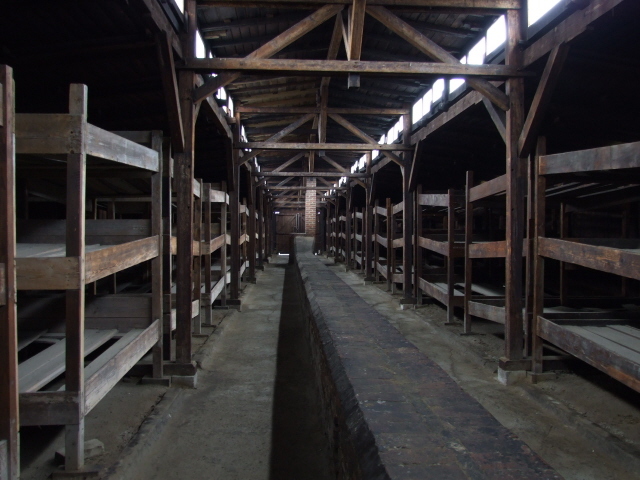 One row of these wooden barracks has been preserved too, some even including interiors – cramped sleeping quarters with three-tier bunk beds and mass latrines ('toilets') and washing facilities. Most of the barracks however are long gone and their locations are these days only marked by their "footprints" on the ground, in some cases also by their lone brick chimney stacks poking up like marker poles. When seen from the tower of the gatehouse, however, you do get a good impression of the vastness of the camp, which at its peak housed as many as 100,000 people. Having mentioned the gatehouse … This is perhaps even more iconic than the sloganed gate at Auschwitz 1. Birkenau's railway gatehouse with its watchtower on top overlooking the camp's ramp has become a familiar symbol for the whole darkness of the Holocaust and is frequently used on book covers and the like. Its iconic quality is why it also features centrally in this website's logo! You can even go up to this very watchtower on top of the gatehouse and get a good look over the near endless expanse of the former camp (opening times are a bit more restricted than for the rest of the camp, though). To the left is an area with rows of brick buildings that housed workshops, yet more accommodation quarters, latrines and bathhouses. 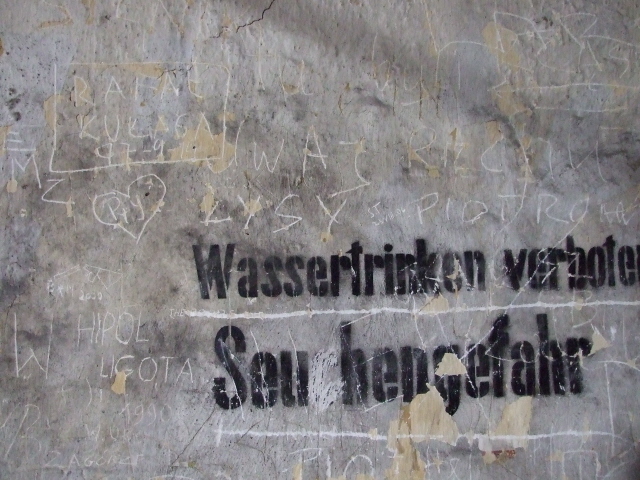 Various original cynical slogans can still be seen on the walls, such as "Sauberkeit ist deine Pflicht" ('cleanliness is your duty') and "verhalte dich ruhig" ('stay calm/quiet'). Unfortunately, there's also recent graffiti to be seen, clearly left by visiting tourists, including the usual little hearts with initials and ampersand in them – probably left by bored unthinking teenagers (see above for other disrespectful behaviour). 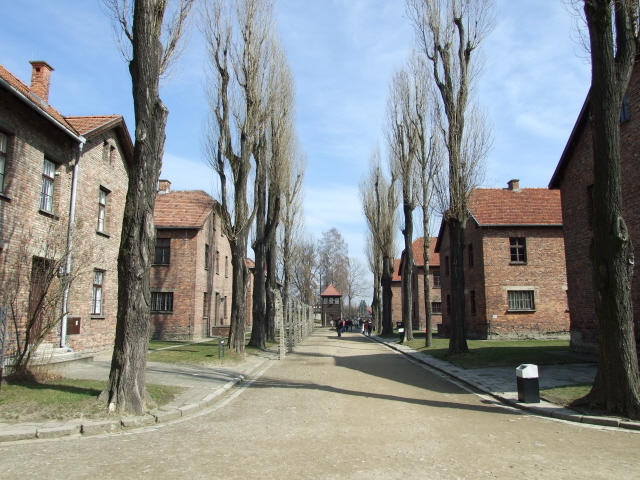 What sets this place apart from Auschwitz 1, however, is primarily the fact that it was Birkenau that in the later stages of the Holocaust assumed the dual function of concentration camp and death camp. It was here that by far the largest part of the systematic mass murder took place. 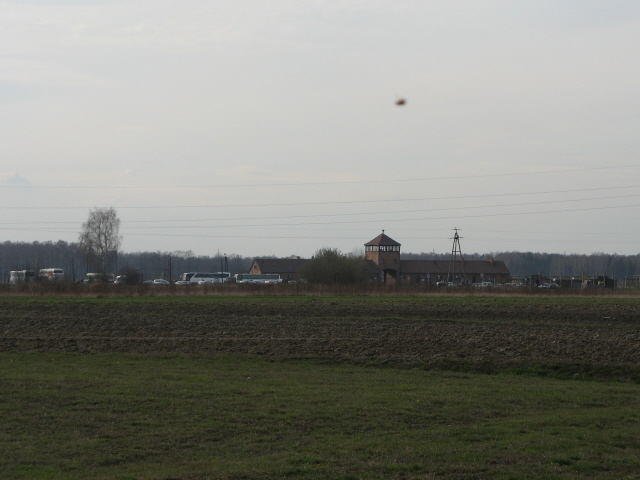 The gas chambers themselves were at the far western end of the camp. 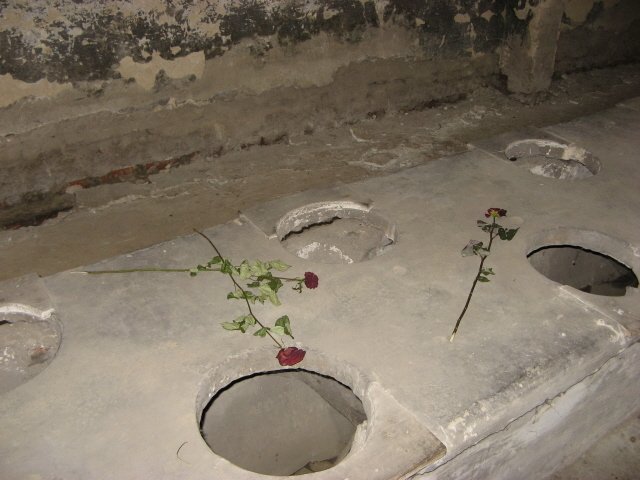 Four large-scale chambers were eventually installed, after the smaller-scale "test" installations at both Auschwitz 1 and elsewhere became too small to cope with the industrial scale the murder took on from 1942 onwards, i.e. during "Operation Reinhard" – the "Final Solution". 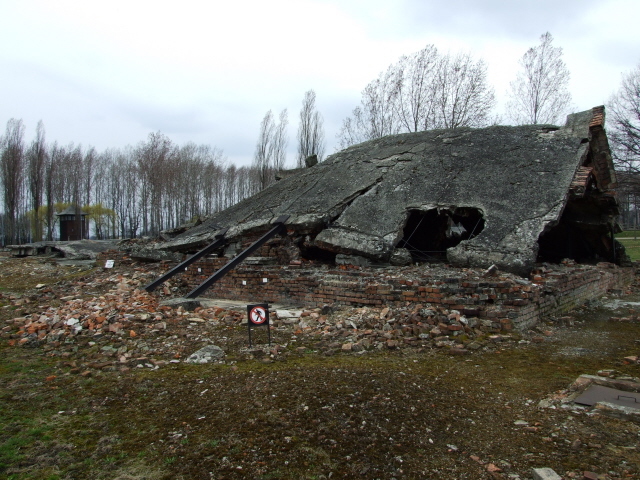 Of these gas chambers only ruins remain – one was actually blown up by a group of the "Sonderkommandos". i.e. inmates who had the gruesome task of clearing out the underground gas chambers after every "batch" and then cremating the bodies in the crematorium ovens upstairs. This incident was a rare example of resistance through larger-scale sabotage (the story is dramatically retold in the feature film "The Grey Zone"). The rest of the gas chambers/crematoria were blown up by the SS themselves at the end of 1944 in the usual attempt to cover up their crimes. They failed to erase all traces, though, when they had to hastily abandon the camp. 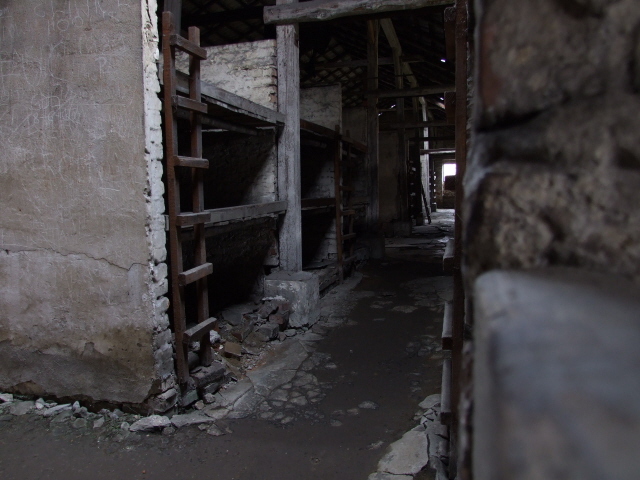 So the liberating Red Army found not only several thousand survivors too weak to be taken on the death marches, but also storage facilities full of murdered victims' former possessions. Today hardly anything remains of the barracks where the Nazis stored what they took from their victims, i.e. 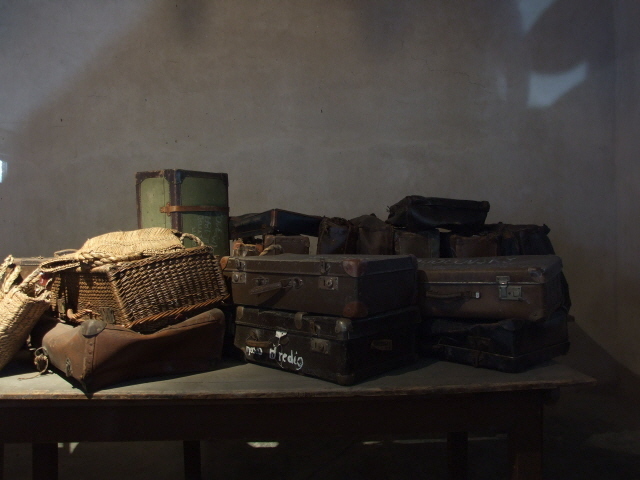 everything in their possession, including suitcases, clothing, and even their hair … now mostly on display and fading away in the main museum exhibition at Auschwitz 1 – see above. A few patches in the ground have been covered by perspex glass so you can see items such as combs and spoons in their original locations still. But that can hardly match the impact the main exhibition makes. However, there's a more recently added exhibition inside the washhouse building (the "sauna", as it was known) that is well worth seeing. 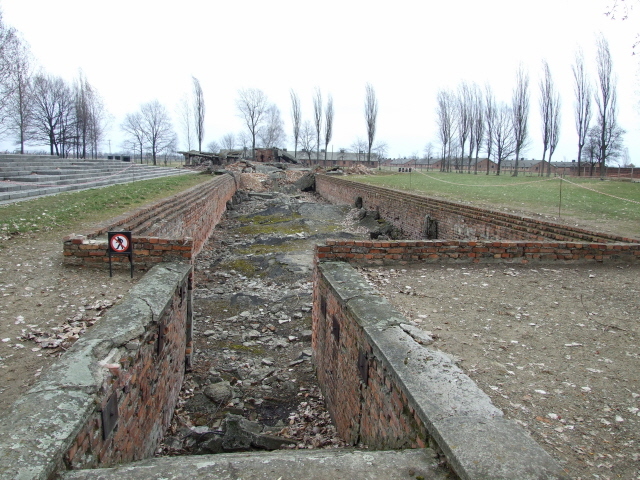 This is also where new prisoners arriving at Birkenau, that is those who weren't killed instantly but were selected for forced labour, were received and registered. Here they would have been given camp clothes, had numbers tattooed on their arms and their hair cut off. So it was a significant part of the former camp. 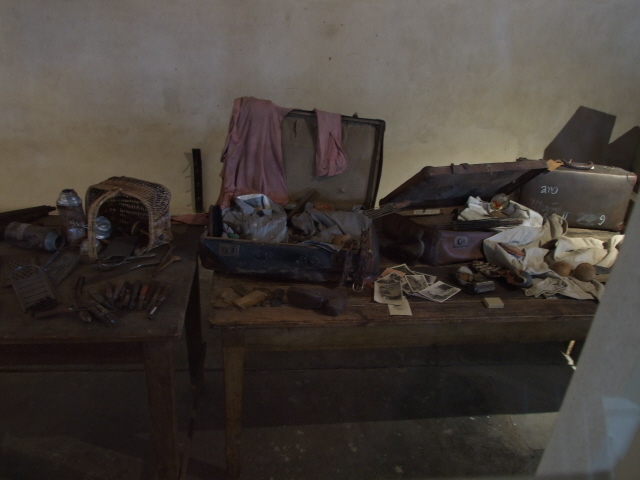 Today's exhibition has on display yet more personal possessions of victims, such as suitcases, as well as a corpse cart and the old laundry machinery. 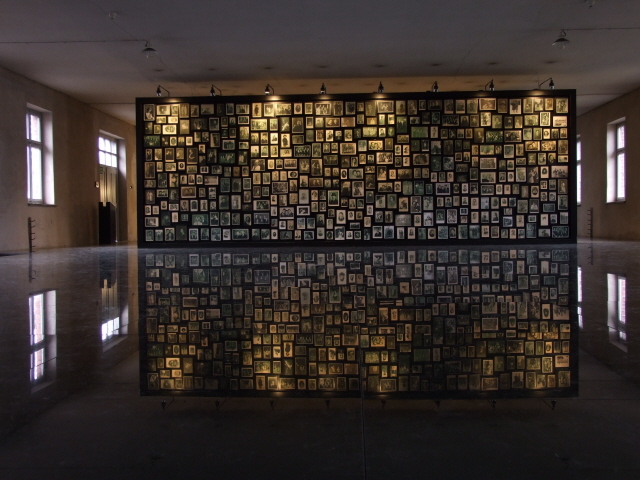 A particularly touching element in this part is a wall consisting of photos taken from the victims. For the visitor today it's a good counterpoint to the unimaginable scale of the mass killings in that it puts the focus back on the fact that every single victim was an individual fate, each taken from an individual, more or less normal life. And it is this that you can see in the photos on display: They're mostly family snaps from happier times. They are grouped by family and a few photos are even marked 'only survivor of the X family' – which underlines the whole tragedy even further. Much more abstract again are the murky ponds nearby. They wouldn't look like anything more than just ponds if it wasn't for the memorial stones in front of them informing the visitor that these are the places where the ashes of cremated victims were dumped. So this is actually a cemetery of sorts. Eerie indeed. Apart from the grounds, authentic exhibits and remains, there's also a large symbolic memorial monument here. This is the place where the remaining survivors of Auschwitz-Birkenau have gathered annually for ceremonies for decades. Multilingual memorial plaques set into the cobbled ground provide additional solemnity. It's a suitable place for a final moment of contemplation as you look back towards the sinister shape of Birkenau's gatehouse and ramp in the distance. Back there, inside the gatehouse itself, is also another small shop selling postcards, brochures, etc. – even drinks. It's perhaps slightly at odds with the otherwise serious heaviness of the place, but probably has to be expected. 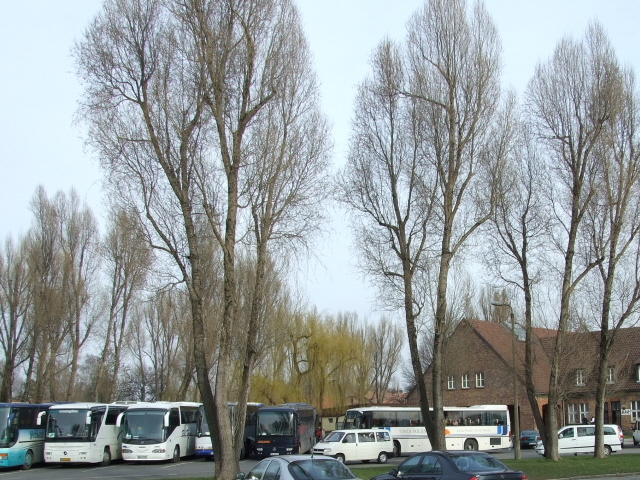 After the no doubt rather emotionally draining visit to Birkenau you can get the shuttle bus back to Auschwitz 1 or onwards to the train station – or continue exploring the secondary sites in and around the town … if you have the stamina (see combinations). All in all: Auschwitz really has to be seen at least once in a lifetime. It absolutely is that important a must-see place. Simple as that. 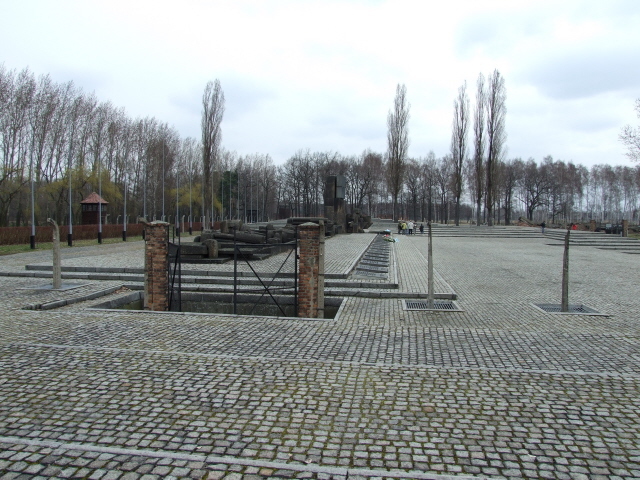 On the whole, Birkenau is the even darker part of the two main sites and should not be missed. I've heard of short tours of Auschwitz (from Krakow) that apparently do just that, i.e. 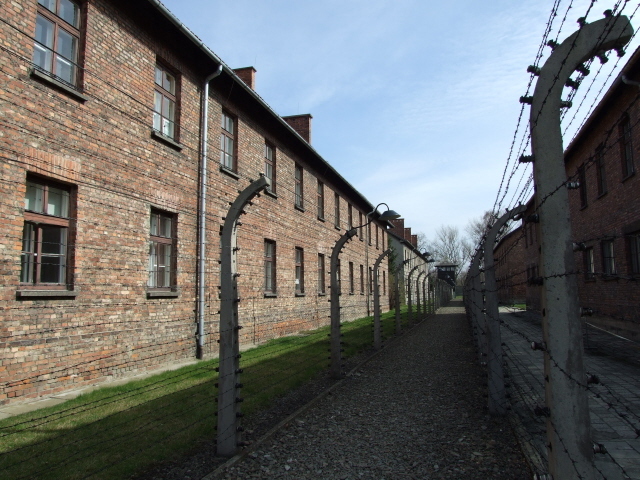 only whisking groups through the museums of Auschwitz 1 and not taking in Birkenau at all. Arguably such short tours are still better than nothing at all and will at least still alert people (those with less stamina, patience or interest) to the historical importance of the place. But it's really too superficial. The official recommendation of the organization administering the site is that you should allocate at least 90 minutes for Auschwitz I and another 90 minutes for Auschwitz-Birkenau. Their own regular tours exceed this slightly by lasting 4 hours in total (including transport between the two sites). More extensive tours spend 4 hours at each location – and it still wouldn't be exhaustive. See also below under access and time. So, do plan ahead and give this most significant dark tourism site in the world the time it deserves. Do not rush it. If you really engage with the place it's a dark experience like almost no other (but see e.g. Majdanek and Treblinka too). It cannot be recommended too highly. Location: in the south of Poland, near the small town of Oswiecim (= 'Auschwitz' in Polish). 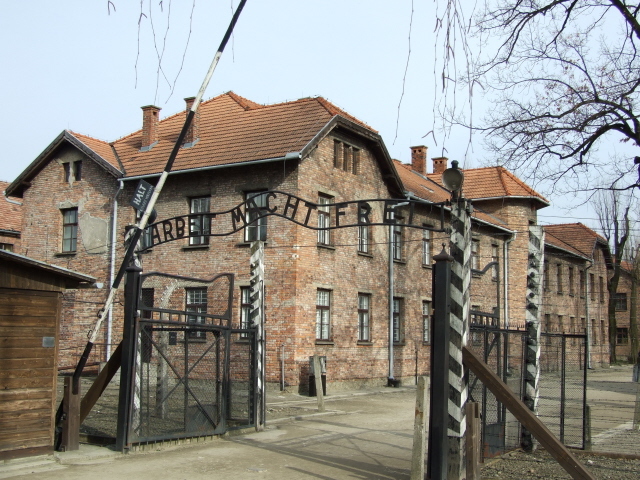 Most people will probably use Krakow as the base for an excursion to Auschwitz. It is about an hour's drive away, some 40 miles (70 km). Even closer is the city of Katowice, but this isn't so attractive as a base because it has less of a touristic infrastructure and simply fewer sights to visit. Access and costs: not too difficult to get to, but a lot of walking is required in any case; costs can vary: from free to relatively pricey. 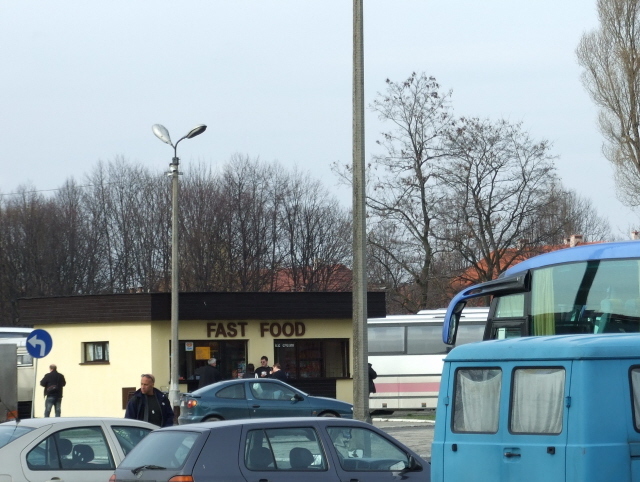 Details: If you're not with your own (or hired) vehicle or on one of those coach tours, you can still get there relatively easily by local train from Krakow or Katowice. The train station is actually closer to the memorial sites than it is to the town of Oswiecim itself, and given how much walking is involved in covering the sites' grounds (esp. 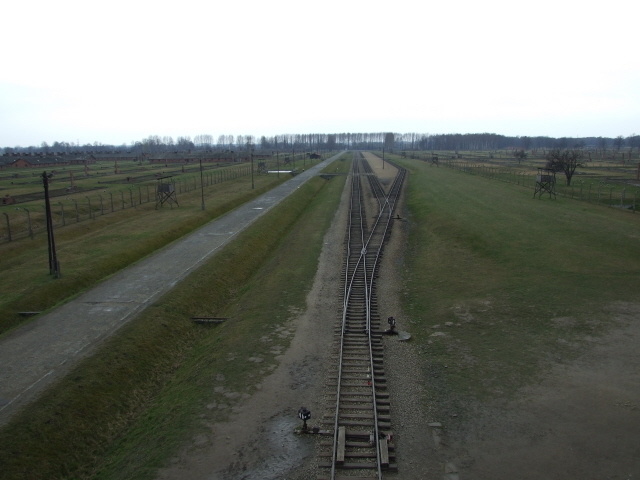 Birkenau's), the extra walk from the station isn't too bad. In season, ca. April to October, there's a free shuttle bus between Auschwitz 1 and Birkenau, but it's also just about walkable, if time-consuming. From the train station, first proceed south-west along Wyzwolenia and at the roundabout turn left down Stanislawy Leszcynskiej, which leads straight to the entrance. To get to Auschwitz-Birkenau first go back up the way you'd come from but then turn left and take the bridge over the railway line. Keep left and proceed straight ahead to get to the gatehouse – or turn left again at the next intersection to get to the old "Judenrampe" memorial first (see combinations). Opening times: daily from 8 a.m.; closing time varies with the seasons: as early as 3 p.m. in mid-winter (December to February), as late as 7 p.m. in the summer season from June to August (and one hour less every month before/after that). Regular introductory tours last ca. 4 hours and take place hourly or even half-hourly in high season, between 9:30 a.m. and 3.30 p.m. (in English – different times for other languages). Admission to both sites is nominally free as such. Parking, however, does cost a halfway decent fee at Auschwitz 1 (but is free at Birkenau). Admission to the museums/camp grounds is free for individual visitors without guiding – but: during the high season hiring a guide or joining a guided tour is now compulsory at Auschwitz 1 … see below. So that part inevitably won't be free. At Birkenau, however, no such restrictions are (yet) in force and it remains freely accessible (during opening hours). There are regular short general introductory tours (250 zloty for up to 10 people, 300 zloty for up to 30 people) in a number of languages, including English, German, French, Italian and Spanish. In the low season (November – March) individual visitors can optionally join groups on the spot, if spaces are available, for a fee of 40 zloty (25 for Polish-language tours). Otherwise it is recommended to book a place at least two weeks in advance (see the official website – external link). 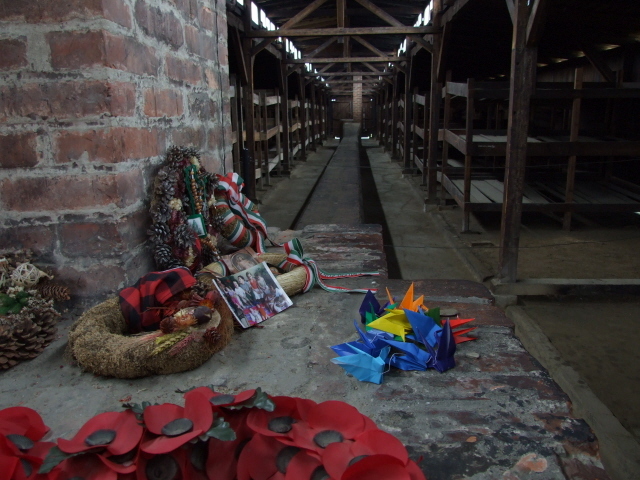 NOTE: from the summer season of 2012 access to the Auschwitz I site during high season (April to October) has been restricted to compulsory group visits, though only at peak times, i.e. between 10 a.m. and 3 p.m.! The fee is the same: 40 zloty (25 for Polish-language tours). In the early morning or after 3 p.m. independent individual visits remain possible. You can also hire your own private guide. Costs depend on group-size and length of the tour: a range of options are on offer. Whole day (6 hour) in-depth tours cost 400 zloty (for up to 10 people, 480 for up to 30). The fullest service is a two-day tour (that's not two full days though, but rather just up to 4 hours on each day). This costs 500 zloty (570 for groups up to 30 persons). 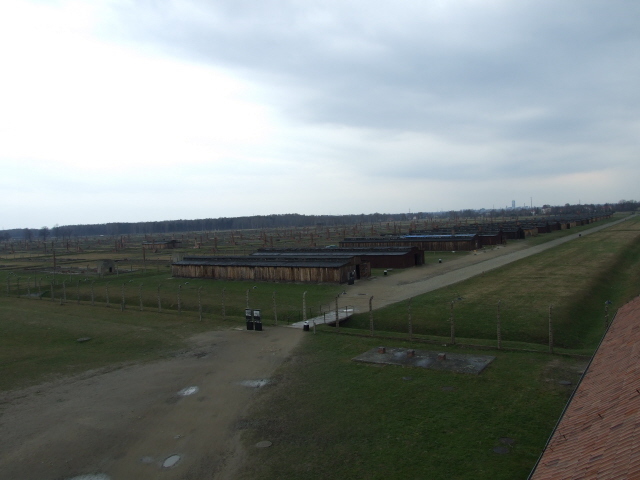 All these more comprehensive tours have to be booked well in advance – and it can be difficult to get a tour in the language of your choice if it's a busy day (which is very frequently the case at Auschwitz – I didn't get an English tour so instead opted for a German one). It's well worth the investment though, as guides can point out various aspects not covered by the explanatory texts on panels or in guidebooks, and can recount anecdotes from survivors or other visitors. I opted for the expensive two-day study tour for just myself and my wife – and it was excellent and well worth the money. However, if you'd rather take everything in at your own pace, it's perfectly feasible to walk around on your own. That way you also have the best chance of getting away from the crowds. Unless you arrive early in the morning (well before 10 a.m.) it's advisable to go to the Auschwitz-Birkenau site first and do the museum/memorials at Auschwitz I after peak time (i.e. 3 p.m.), when the compulsory group tours have finished. Better still, go off season, i.e. before April or after October – and chances are you won't encounter anywhere near the crowds you do in high season in any case – and that way you can visit everything at your own pace, in whatever order you wish … all for free. 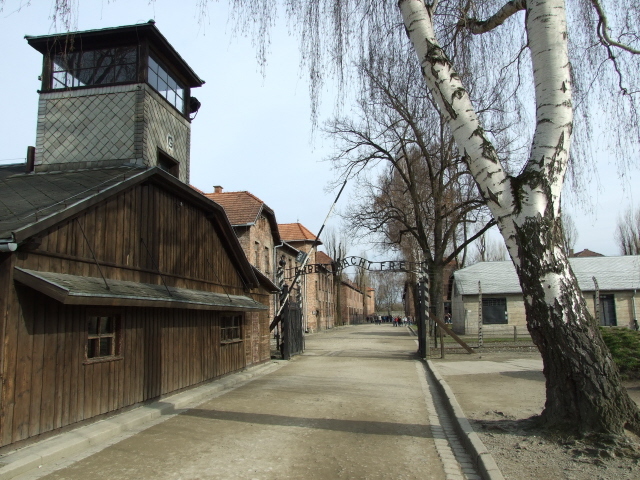 If you really want to explore Auschwitz in the fullest depth then you need plenty of time, and that will require at least one night's overnight stay, more likely two or even three nights. Fortunately, there are a number of places offering accommodation in town. They range from some rather basic student hostels and budget hotels up to more comfortable mid-range options. The highly recommended top of the pick, and still not too overpriced option (compared to hotels in Krakow) is the Hotel Galicja a bit further into town, east of the centre, en route to what was Auschwitz-III Monowitz (see combinations). They even offer their own historical study tour packages now. Time required: Most people will be selective in what they view, or will be on tours that make the selection for them. Otherwise you can easily spend a whole day in Auschwitz 1 alone, and another full day in Birkenau if you really want to see everything and read all the text panels. For most people that would be information overload, so some sort of selective compromise approach will be envisaged by most. Basically you need to give some thought prior to your visit as to how much you could handle and what you want to get out of the place – few other dark destinations give you such a wide range of options from a brief glimpse to full-on intensive study periods. Combinations with other dark destinations: in general see Poland. Since most people visiting Auschwitz do so on day trips from Krakow, it's the ideal opportunity to take in that city's dark sites too. Even if you're staying in Oswiecim itself, do consider an onward trip into Krakow as an add-on. If you have your own means of transport (or don't mind an extra walk), you can visit the "alte Judenrampe" monument by a side street off the main road about halfway between the train station or Auschwitz 1 and Birkenau – you'll see the latter's gatehouse looming on the horizon. 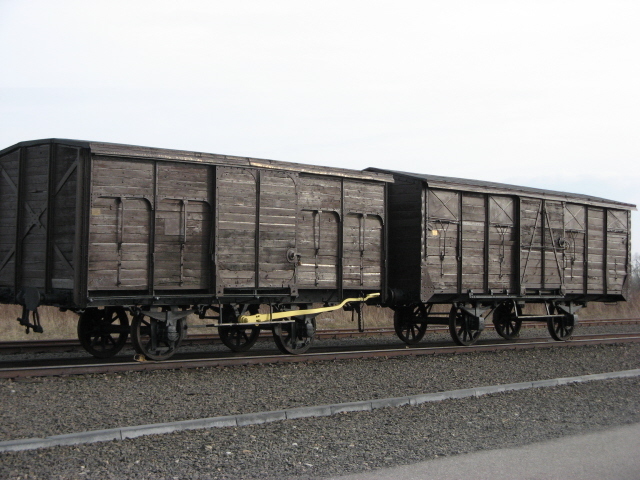 The old ramp memorial site offers no more than a text panel and a couple of railway freight carriages – but it does serve as a reminder of what the deportation transports of victims already meant. Some 3 miles (4.5 km) to the east of the town centre of Oswiecim is the industrial area that was once the Buna-Werke plant of the I.G. Farben chemical conglomerate, and it was right opposite that Auschwitz III Monowitz was located. The inmates of this forced labour camp were used to build the plant and later worked in it. Ironically I.G. Farben was also a major stakeholder in the company that produced the Zyklon B gas used in Birkenau's gas chambers (and elsewhere). Today there's not much here for the dark tourist to see. The Monowitz camp is all but gone, although there's a small memorial to the victims of the forced labour camp as well as the odd relic. Parts of the industrial plant area are still/again in use – but remain off limits to the public. However, you could drive past and spare a thought for the victims. But better not try and take photographs … see this anecdote! Combinations with non-dark destinations: Nearby Krakow is well worth a visit in its own right, especially for its pretty Old Town, and in fact it does attract huge numbers of visitors. Poland in general provides plenty of holiday destinations of various sorts (including the beaches on the Baltic Sea, the Masurian lakes and the wilderness forests in the north-east). In the south, the scenic Tatra mountains, shared between Poland and Slovakia, are the closest to Oswiecim and Krakow. Further east Lublin, apart from its dark connections (esp. Majdanek), is also a pretty place to visit in its own right, especially given that it's not (yet) as crowded with tourists as Krakow is.